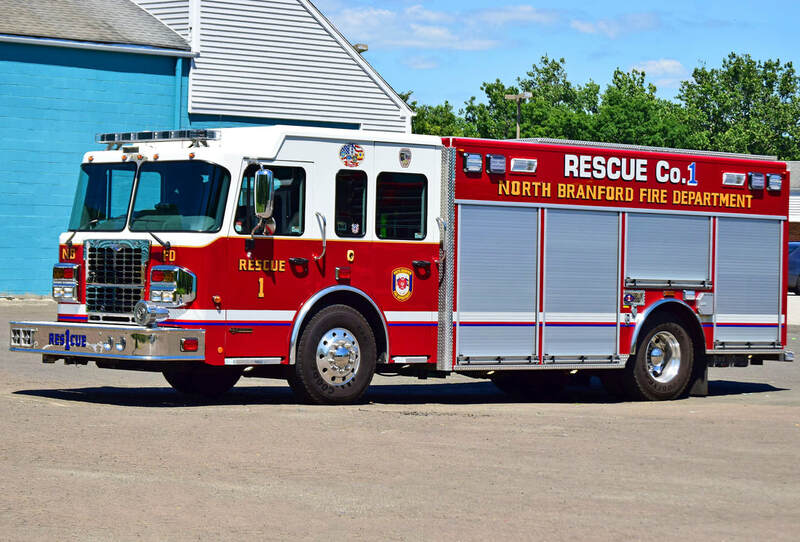 This is the page for the North Branford FD. They have 3 engines, 2 engine tankers, 1 tanker, 1 tower ladder, 2 rescue trucks, 1 light rescue, 2 EMS SUV's, 3 brush trucks, 3 ambulances, 3 antique trucks, and 4 stations. 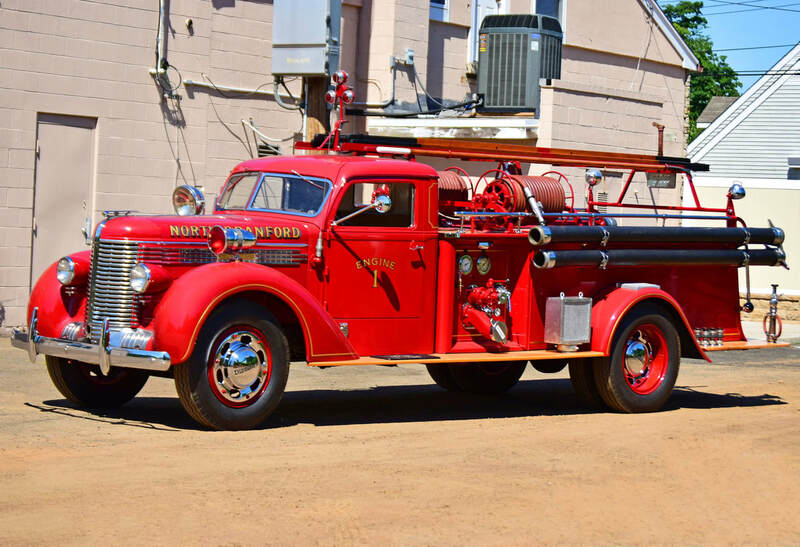 North Branford's Antique Truck, a 1938 Diamond T.
North Branford's Brush 1, a 1986 Chevy/E-One mini pumper. 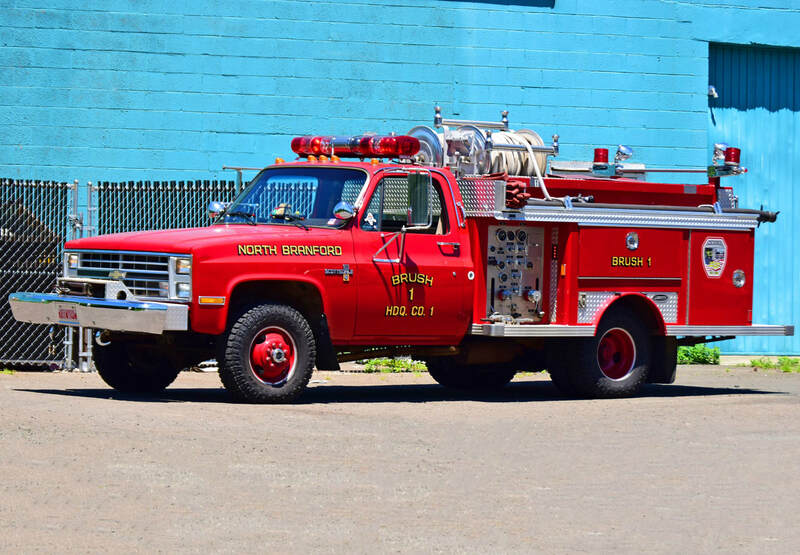 North Branford's Emergency 1, an unknown year Chevy Suburban. 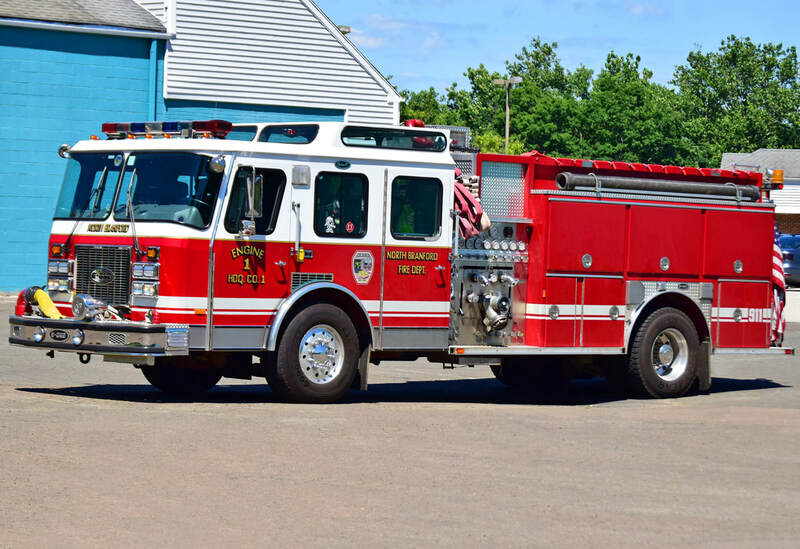 North Branford's Engine 1, a 1995 E-One Cyclone II. 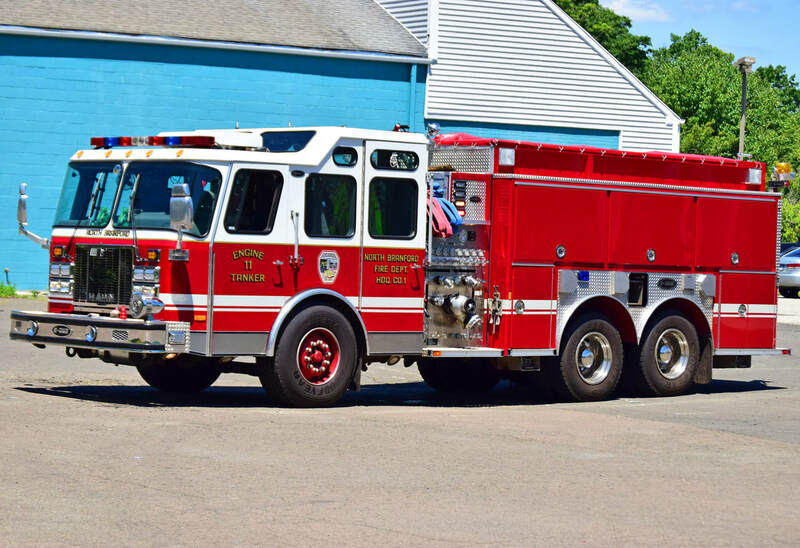 North Branford's Engine Tanker 11, a 1998 E-One Cyclone II. 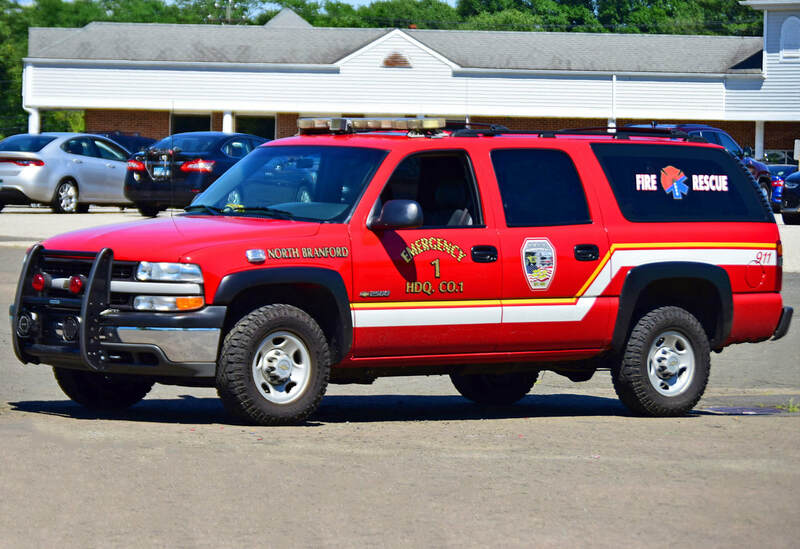 North Branford's Rescue 1, a 2013 Spartan/Rescue 1. 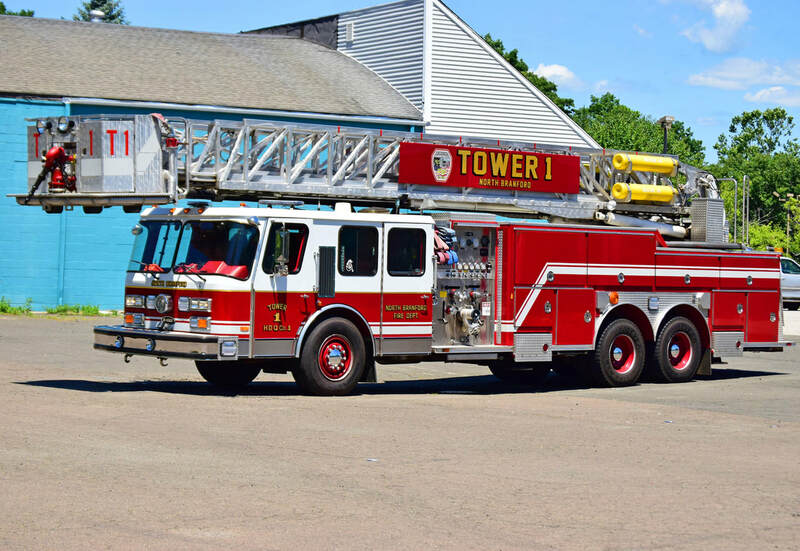 North Branford's Tower 1, a 1989 E-One Hurricane 95ft RMA quint.